One of the girls was still in high school, the other not long out, listening to the radio as they cruised what they called “The Circuit” in the late 1960s. They sat up front in that Mercury Cougar, vaguely a muscle car. With all the windows down on an early August night, the air rushed in and the sounds of the Top 40 blasted from the AM radio. The kids sat in the back, savoring every moment of that late-summer adventure. It seemed oh, so sophisticated. Those memories have come rushing back, for reasons all too bittersweet. 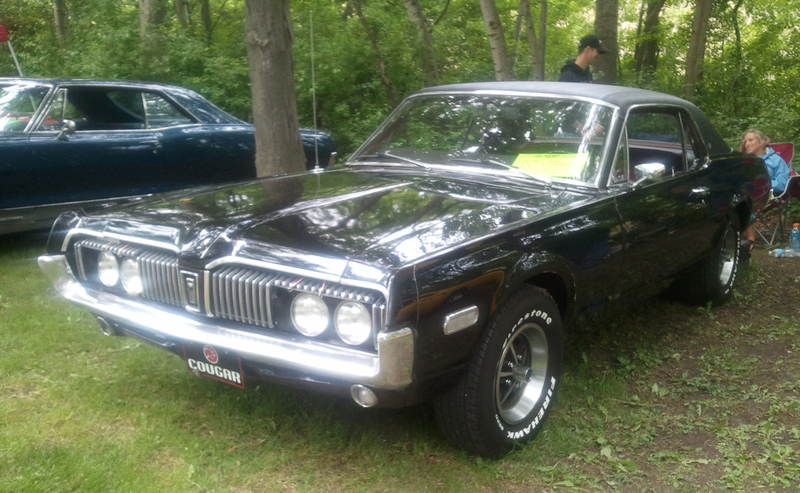 Seeing this 1970 Cougar at our local car show on Sunday reminded me of the Cougar those girls drove. One of those girls — my cousin — may not be with us for much longer. Cancer. 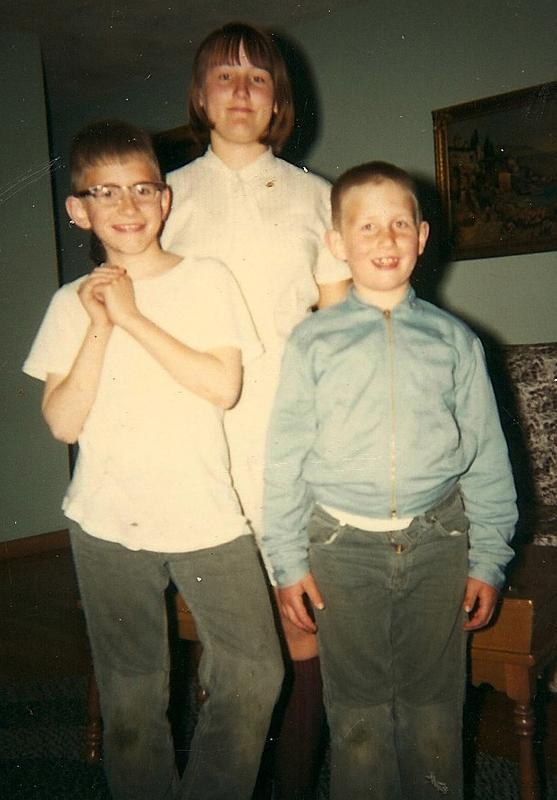 My cousin’s given name is Maureen, but we have called her “Pete” forever. Janesville, then the home of a huge GM assembly plant, had a strong car culture. On weekends, the kids cruised The Circuit, a long, rectangular loop of one-way streets that went over the Rock River and back again. WLS, the Big 89 out of Chicago, provided the soundtrack to those thrilling rides. We could have been riding The Circuit on the week of Aug. 4, 1969. The top five songs in the WLS chart that week have been seared into my head all these years. 1. 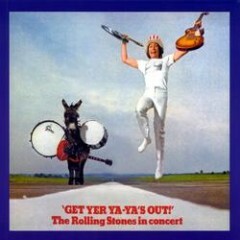 “Honky Tonk Women,” the Rolling Stones. This is the live version from “Get Yer Ya-Ya’s Out!” from 1970. 2. “In The Year 2525,” Zager and Evans. 3. “Put A Little Love In Your Heart,” Jackie DeShannon. 5. “Polk Salad Annie,” Tony Joe White. Boom. Boom. Boom. Boom. Boom. Imagine hearing those every three hours. 8. “Sweet Caroline,” Neil Diamond. 9. “A Boy Named Sue,” Johnny Cash. 11. “Soul Deep,” the Box Tops. 14. “Laughing,” the Guess Who. 16. “Marrakesh Express,” Crosby, Stills and Nash. 17. “Give Peace A Chance,” Plastic Ono Band. 20. “Green River,” Creedence Clearwater Revival. 24. “Spinning Wheel,” Blood, Sweat and Tears. 25. “Good Morning Starshine,” Oliver. 30. “Get Together,” the Youngbloods. 31. “Nitty Gritty,” Gladys Knight and the Pips. 33. “I’d Wait A Million Years,” the Grass Roots. 36. “Pledge Of Love,” the Joe Jeffrey Group. 40. “Sugar, Sugar,” the Archies. What a ride that was, Pete.